*In addition to statutory reporting, Smiths Group reports its continuing operations on a headline basis. Headline profit is before exceptional items, amortisation of acquired intangible assets, profit/loss on disposal of businesses and financing gains/losses. Free cash flow is described in the Financial review. "Our operational improvement and restructuring programme has delivered enhanced margins across all divisions – reaching a 10-year high. Continued focus on cash conversion, increased free cash-flow by 28% to £133m. We have also increased investment in new product development to support future growth and ensure that we are well positioned for an economic recovery. 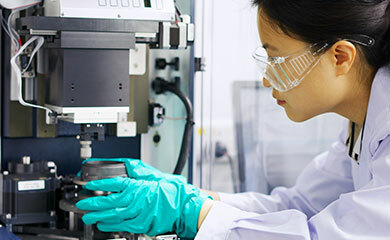 Our strategy of targeted acquisitions is underlined by the recent acquisition of Interconnect Devices, Inc., which will strengthen Smiths Interconnect's product portfolio and further increase our presence in China. 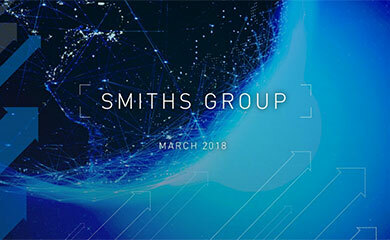 "Looking to the balance of the year, Smiths Group is well placed to build on these results to deliver further improvement in margins and returns while continuing to generate strong free cash-flow." Original high-resolution photography is available to the media, please contact Colin McSeveny (contact details below).